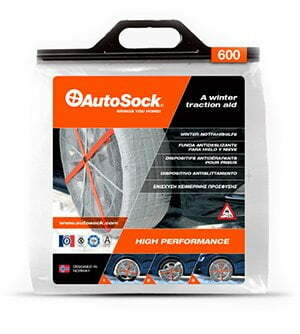 AutoSock are reusable tyre snow socks which you pull over the driving wheels of vehicles that need extra grip on ice or snow. The grip is achieved through friction, coupled with specially developed high tech textiles. 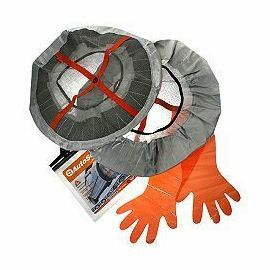 AutoSock are quick and easy to fit and remove – no special training is required – and they fold up for easy storage to about the size of a shirt. AutoSock products have been tested and approved both by the German TÜV , O-Norm 5121, and by most car manufacturer. 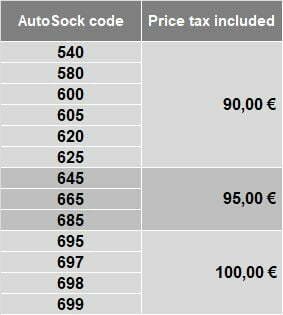 AUTOSOCK is avaiable for almost all kind of cars. 1: It could hardly be simpler. Stop the vehicle and apply the parking brake. Fit AutoSock to the driving wheels of the car, starting at the top of the tyre and working downwards. 2: Move the vehicle approximately 1 meter, forward or backward. 3: put the remainder of each ‘Sock’ into position. The AutoSock will automatically self-centre when you start driving.